A social media acquaintance of mine — and I do not know this fellow personally — posed a question about why High Plains Blogger keeps writing about red-light cameras. He implies that I am fixated on the issue, suggesting I reckon that I am devoting too much attention to it. Hmm. Here’s my answer to my acquaintance — who’s a frequent critic of this blog. I write frequently about the issue because I consider it a public safety matter. I also believe that cities that deploy these devices are correct to rely on a technological advance that assists police departments in their enforcement of traffic-safety laws and municipal ordinances. It’s merely a matter of opinion and I am aware that others do not share it. I believe in the technology. I believe the Texas law that allows cities to use it is not being abused by local authorities. The Texas Legislature stipulated some strict provisions on the law. It requires cities to use revenue generated by fines paid by motorists who run the red lights strictly for traffic improvements. I urged the Legislature to act while I was working for the Amarillo Globe-News; I wrote personal columns and editorials on behalf of the editorial board imploring the Legislature to act. I have continued beating that drum in my retirement years. I also have applauded Amarillo’s resistance to taking down the cameras despite the overheated protests from a vocal minority of residents. 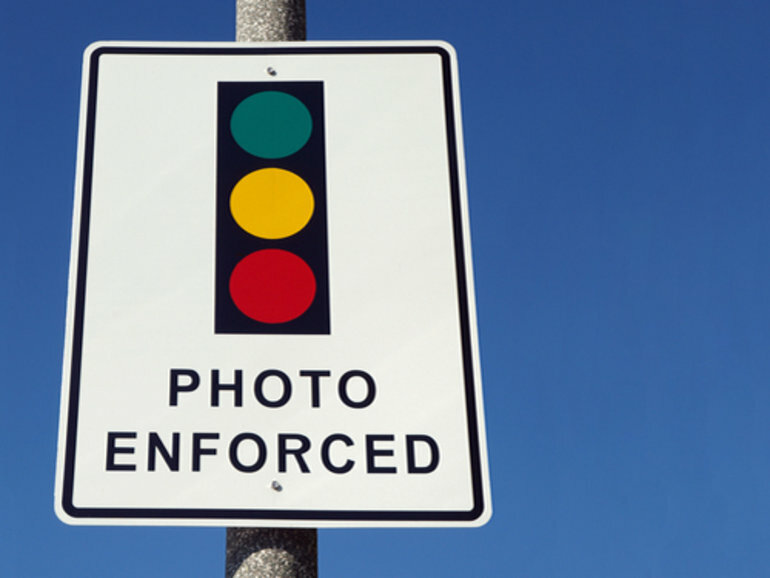 The cameras take a picture of offending motor vehicles; cities then mail the citation to the registered owner of the vehicle, who then is required to pay the fine. He or she can appeal the fine to the municipal judge. I answered the social media acquaintance with a semi-snarky response, telling him that I intend to keep writing about it. I’ll reiterate my answer here. Public safety is important enough for this blog to keep raising the issue. Gov. Greg Abbott vows to urge the next Legislature to rescind the enabling law, provided he’s re-elected on Nov. 6. If he does and the Legislature follows his lead, you can bet I’ll have a whole lot more to say on this issue. That, dear reader, is my story and I’m sticking to it. I want to add this brief note to my previous blog post about red-light cameras. They are not, as critics of the cameras contend, revenue raisers for cities looking to set up speed traps to catch unsuspecting motorists. I want to cite an example of what I mean. My wife and have been driving between Amarillo and the Dallas/Fort Worth region for more than two decades. Of all the communities through which we pass, I can think of precisely one — Denton — that uses the red-light cameras. The rest of them — Claude, Clarendon, Hedley, Memphis, Estelline, Childress, Quanah, Chillicothe, Vernon, Electra, Iowa Park, Wichita Falls, Bowie, Jolly … you name ’em — don’t use these devices. Or if they do, say, in Vernon, Bowie, Jolly and Wichita Falls, U.S. Highway 287 does not have stop lights, meaning that motorists can breeze through these towns without having to stop. Have some of these towns become “speed traps”? Yeah. Estelline comes immediately to mind. They do so without aid of these devices designed to deter motorists from breaking the law by running through stop lights. There. That’s it. I’m out on this issue. Is this a one-issue race for governor? Honest to goodness, I usually don’t vote for public office based on a single issue. I regret, though, that Texas Gov. Greg Abbott might have tossed at my feet the one issue that might make me vote against him. Gov. 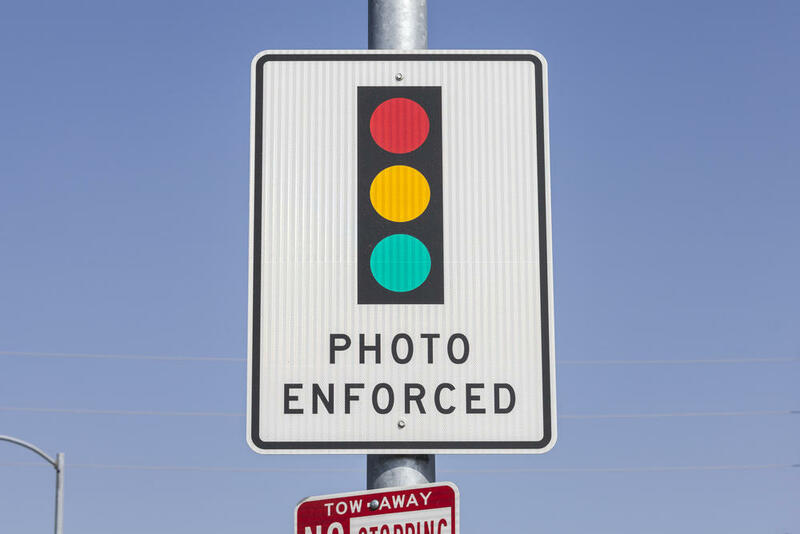 Abbott said not long ago that the Texas Legislature needs to rescind its earlier approval for cities in the state to deploy red-light cameras at dangerous intersections to help deter motorists from running through stop lights. If he’s re-elected, Abbot said he would ask the 2019 Legislature to pull the plug on the cameras that have been deployed in cities across the state. To be fair, I have been looking for a reason to support Democratic challenger Lupe Valdez. The campaign for governor has been so devoid of compelling issues, I cannot commit fully to supporting the former Dallas County sheriff. Back to Abbott … I wish he wouldn’t have ignited the red-light camera discussion. I continue to support cities’ attempts to deploy this technological ally in their effort to curb dangerous motorists’ behavior. Amarillo, where my wife and I lived until this past spring, is one of those cities. 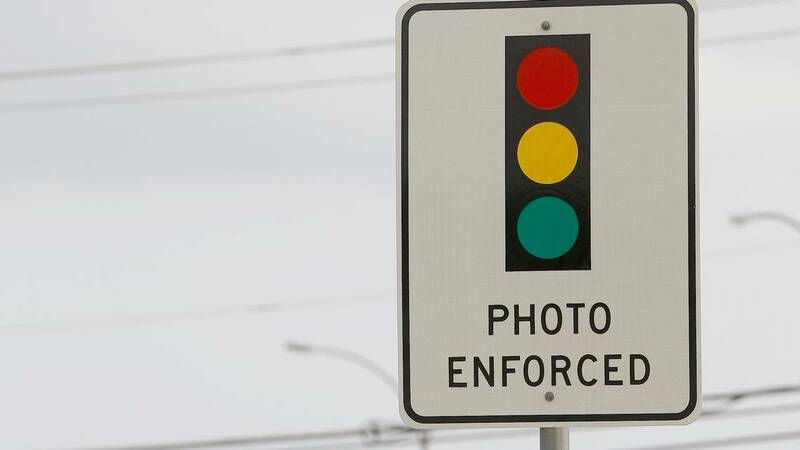 A former city commissioner, Ellen Robertson Green, once declared that the best way for motorists to avoid getting slapped with the $75 fine is for them to “stop running red lights.” Duh! Abbott says the cameras haven’t improved traffic safety sufficiently. He said something, too, about an increase in rear-end wrecks at intersections as motorists try to avoid running through yellow lights that turn red. What about city officials’ concerns about the hazards created by those who continue to run through these street lights? And don’t Texas Republicans traditionally cede these decisions to local authorities, preferring to keep the state out of matters that can be decided locally? I’m still grappling with how I’m going to go on this race for governor. I hate the idea of leaving that ballot spot vacant when it comes time to vote. A legal challenge to Texas cities’ deployment of cameras to stop red-light runners has come to an end. It was tossed out. 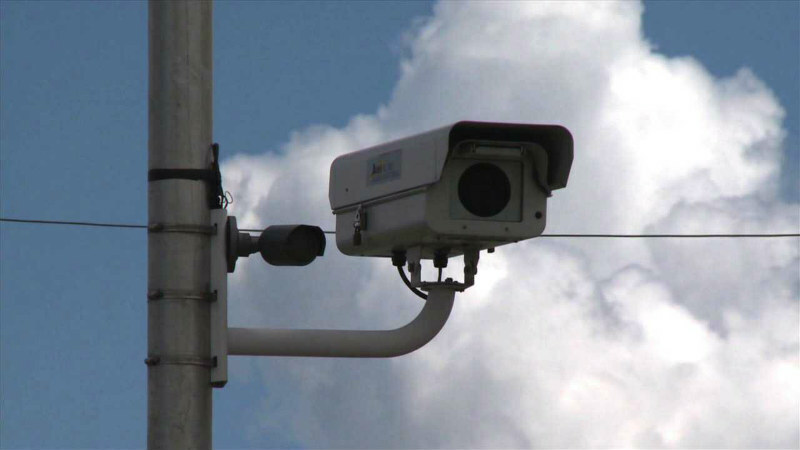 The case had been filed out of Fort Worth, but it affected all the cities that are using the cameras. Now, can we just stop yapping and yammering about these devices? I continue to support the use of the cameras. It’s not that I cherish the thought of people getting pinched. It’s that I hope knowledge of the cameras at specific intersections eventually will deter motorists from running through the red lights and putting other motorists and pedestrians at risk of getting injured … or killed! I keep falling back on the comments delivered by my one-time favorite Amarillo City Council member, Ellen Robertson Green. She scolded protesters who were griping about the red-light cameras, telling them flat out that all they to do to avoid getting caught was not obey the law and not run the red lights. State law is clear: Money raised by the devices must be dedicated to improving traffic in the city. The Legislature tinkered and toyed with the idea of revoking cities’ ability to deploy the cameras. Then it backed off for lack of support. That was a good deal. Cities should be allowed to determine whether to use the cameras if they perceive a red-light running problem. Amarillo identified such a problem and took steps to deter it. Let’s allow the system to keep working. James Watson has filed a lawsuit against cities in Texas that deploy red-light cameras to catch those who run through intersections against signals that tell them they should stop. Amarillo is one of them. He got popped by a red-light camera in Southlake. So, to make his point, he’s going after other cities that use the devices as well. This lawsuit needs to be thrown out on the plaintiff’s ear. What, then, do we do about police officers who catch motorists running through red lights? Do the cops who write the tickets also deny motorists the presumption of innocence and all those other rights that Watson lays out in his suit? Amarillo City Attorney Marcus Norris said he believes the court will reduce the issues once it reviews the lawsuit. My own hunch is that the court might reduce them to zero, as in tossing the case out. The lawsuit is as specious as they come. If he hadn’t run the red light in the first place in Southlake, he wouldn’t be in a jam. 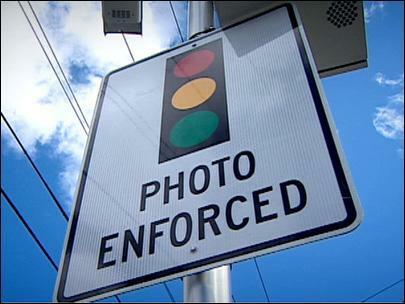 Count me as one who still strongly supports the red-light cameras in Amarillo. I do not want the Legislature to eliminate the law that allows cities to use them. Nor do I want the city to back down on its use because of complaints coming from a vocal minority of residents.